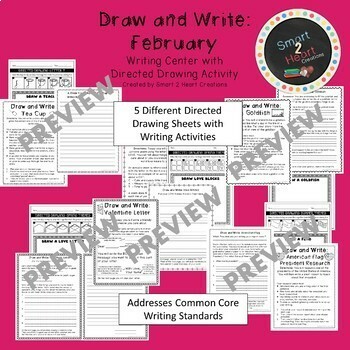 These activities are perfect for your Classroom Writing Center or for Directed Writing Activity. 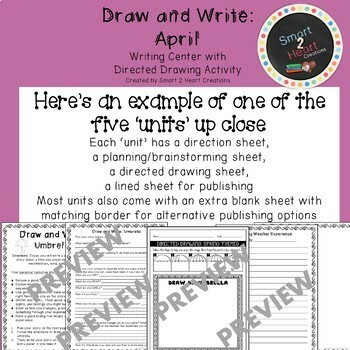 Each monthly set includes FIVE complete Writing Prompts with Directed Drawing Worksheets for your students to work on. 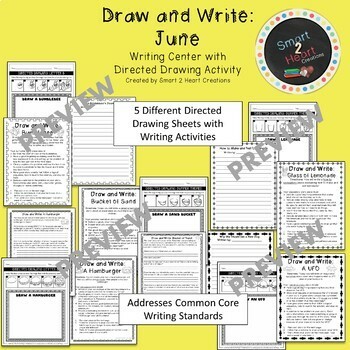 This full bundle has THIRTY complete Draw and Write activities for you to use. This IS a ZIP file. You will need a way to unzip this file in order to use it. 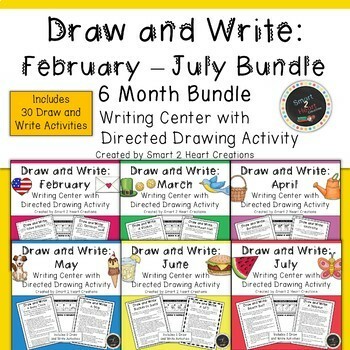 This 6 month bundle is ALSO available as part of my Draw and Write Full Year Bundle!